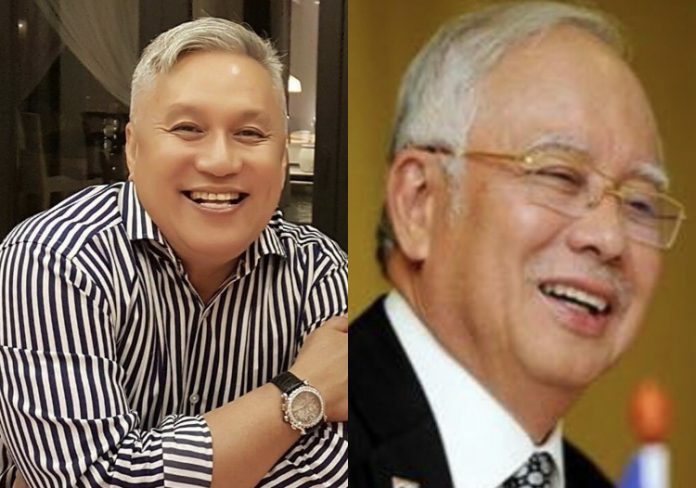 Singaporean-born celebrity chef Datuk Redzuanwan Ismail, popularly known as Chef Wan, found himself in hot water for threatening to slap Najib Razak, former Prime Minister of Malaysia. Najib had claimed that under the Barisan Nasional (BN) administration, Federal Land Development Authority (Felda) had enjoyed “a golden age”. Wan, who had grown up as the son of a Felda settler, took umbrage at Najib’s remarks, which he found to be far from the truth, and threatened to slap the former Prime Minister on Sunday, January 20. He has since apologized for his remarks, but calls for boycotting the chef have been gaining traction over social media. Felda manages the rural poor’s resettlement into newly-developed areas. Wan had gone to Sungai Koyan, the Felda area where he had grown up, in order to host a cooking show. Najib was also there, campaigning for the Cameron Highlands by-election. Aside from saying that Felda enjoyed a “golden age” under BN, Najib also said that the current administration under Prime Minister Dr. Tun Mahathir Mohammad, Pakatan Harapan (PH) was at fault for the low incomes of the settlers in Felda, with some incomes at RM74 (S$ 24.4) per month. Wan retorted that a “corrupt” man had been appointed by Najib to lead Felda. Under Tan Sri Mohd Isa Abdul Samad’s leadership, Felda amassed RM 8 million (S$ 2.63 million) in debt and was rocked by several financial scandals. 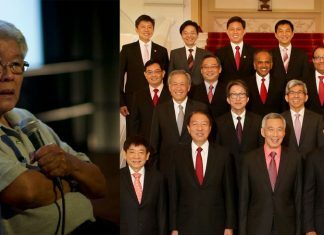 The former Prime Minister declined to answer Wan’s allegations. However, he reiterated that the financial help given to Felda settlers were not bribes. Netizens reacted against Chef Wan and called for a boycott of his products. 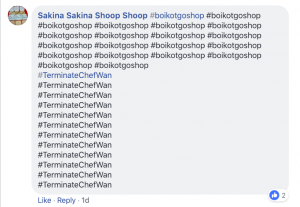 Wan is an ambassador of online shopping platform Go Shop, and commenters have been actively spamming its Facebook page with messages expressing their disapproval of Chef Wan. On Monday, Chef Wan took to Instagram for his apology to Najib. The Chef’s settings are now private but his apology was printed in the Malay Mail. However, the chef remained bloody but unbowed, taking aim at those who called for his boycott and defending his position. “The truth is always the truth, and anyone who reads and understands properly what you have gone through as a child of FELDA will always support you for the truth and standby your honesty and integrity. Lim went on to expound on the “three greatest failures” Najib had as Malaysia’s Prime Minister in his post. Read related: Ex-PM Najib the social media guru? Ex-PM Najib the social media guru?